1. Tortillas are browned in hot butter and drained to remove excess fat. For the sauce, tomatoes are boiled and liquefy hot with onion, fry until a sauce and season. 2. Fried eggs (we like to fry them in olive oil and bathing them only with the help of a spoon) are prepared. 3. 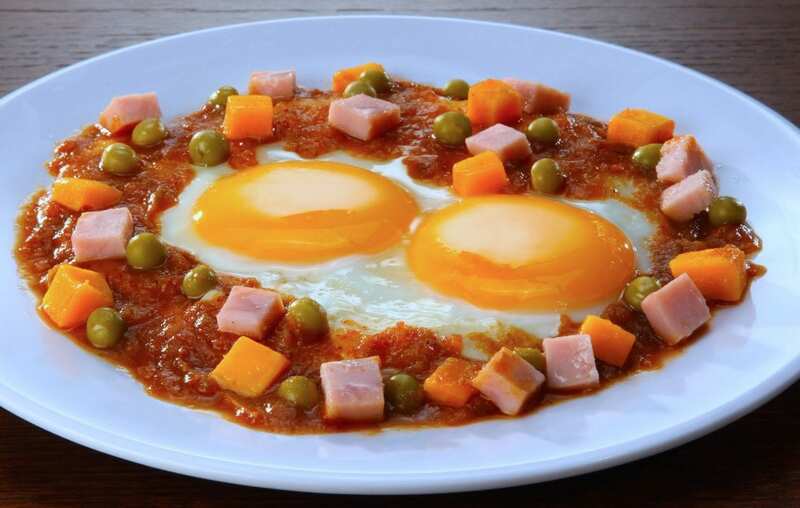 On a plate of refried beans bed is made, it is placed over the fried tortilla on which should be two fried eggs, bathe with the sauce and cover with another tortilla chips also bathed with sauce. 4. On this magical preparation chopped ham, peas, grated cheese, and two or three pieces of ripe plantains and fried sets.